Sky is a German satellite broadcast service provider. Chowmain has developed an IP based driver that provides control over German based Sky set top boxes. This IP driver eliminates the need to attach infra red emitters to the set top box and is compatible with the Sky+ HD, Sky + Pro boxes. The driver also can playback channels that are imported/created by the dealer. 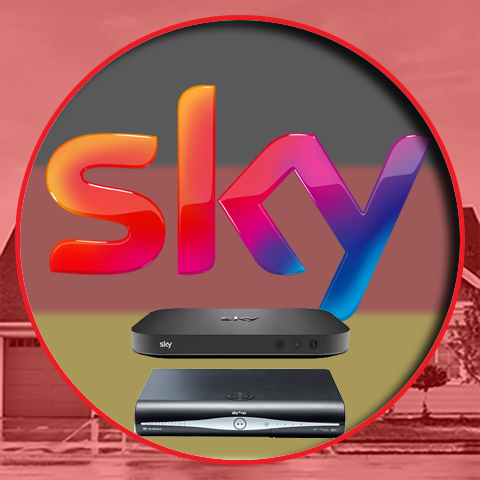 NOTE if you are looking for the Sky UK driver please click here. No more IR buds means no more IR bleeding and accidentally bud knocks. Speed up control over your customer's sky set top box. This will work on any Control4 controller running OS 2.6 or later and with the following sky boxes. Updated to support detection of old and new firmware. Updated fixed to support Sky+ Pro firmware update. • Fixed issue. accidently placed a UK product ID on this driver. Sorry.